With floor to ceiling glass and open floor plans there is no limit to what you can do with the luxurious spaces at Eighth and Grand. We invite you to envision your new home the way you want it to be. 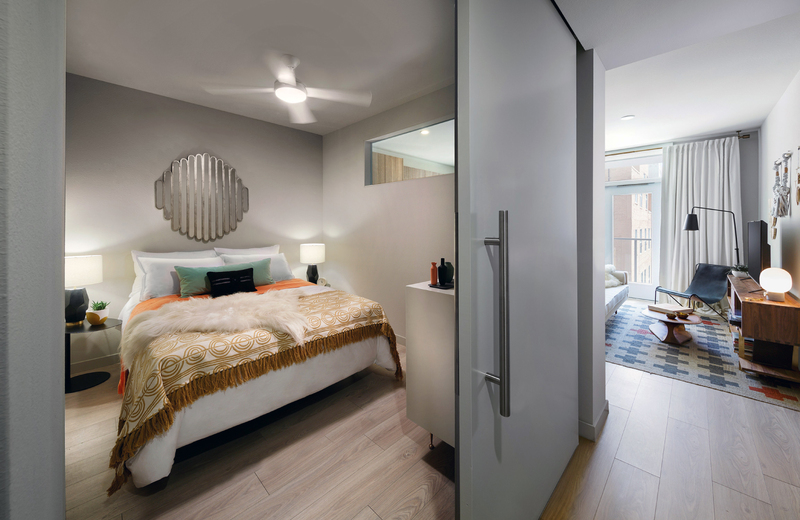 Create your own private oasis in one of our sleek and stylish modern condos in the heart of DTLA. The interiors at Eighth and Grand will have a distinct contemporary urban feel marked by clean lines and sleek modern appliances. And if you’re looking for ideas, check out Commune Design’s curated collection of furniture. Making ample use of glass, marble, dark wood and mohair, Commune adds just the right touch of style and class to any interior. We share Commune’s aesthetic sensibility and their holistic approach to facilitating a community vibe through interior design. Luxury living downtown never looked so good. Maybe Mies van der Roh was right -- less is still very much more.